This console table was for a lawyer’s office. 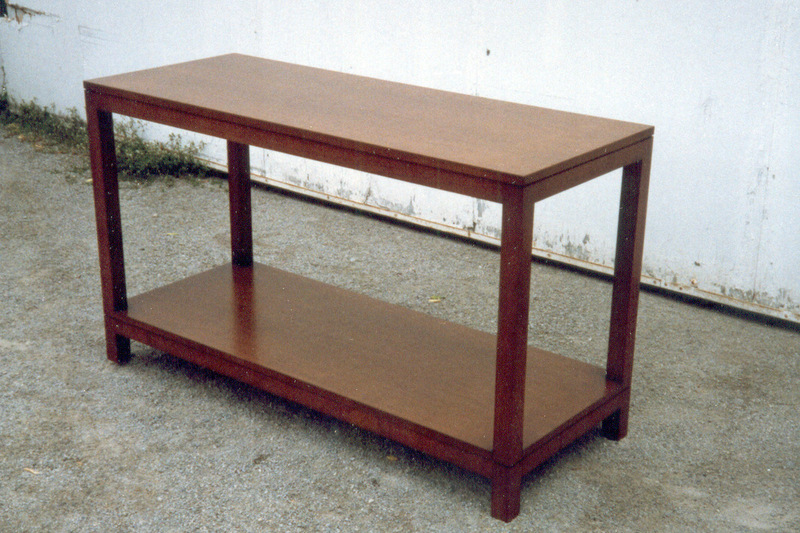 The top and shelf are cherry plywood; all other parts are solid cherry. The unit was stained with a custom colour blend and coated with lacquer.